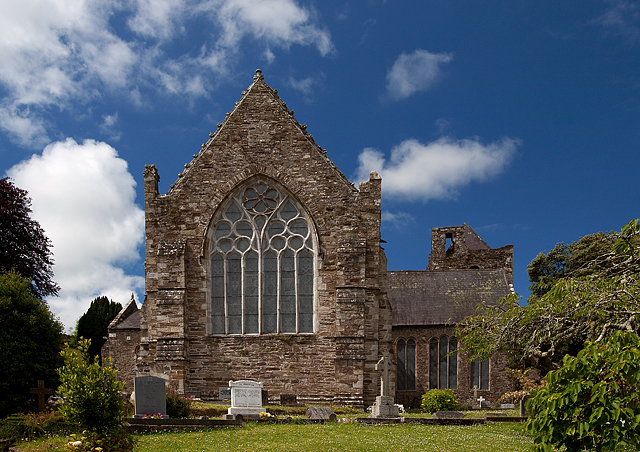 Last week I was lucky enough to go on a guided tour of the St Mary’s Collegiate Church in Youghal. The tour was led by archaeologist Dan Noonan. The church is an amazing building, filled with many interesting features and I highly recommend a visit. The church is surrounded by a really interesting historic graveyard located in the north-western corner of the town walls. The graveyard has a very unusual and interesting feature. 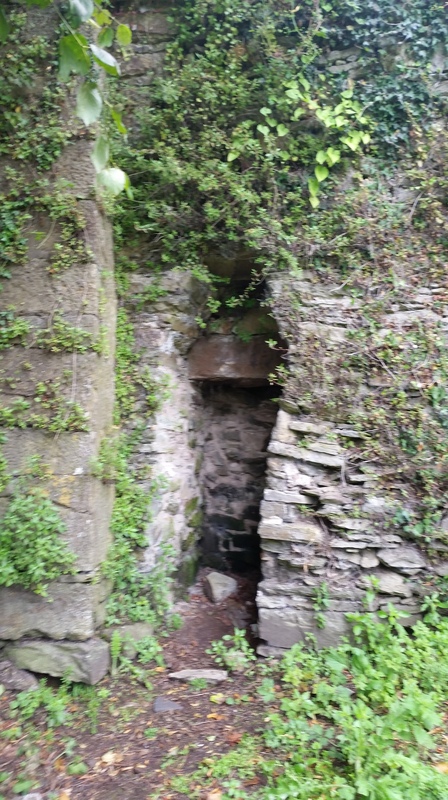 This is a coffin-shaped recess built into the town walls. Tradition has it the recess was used to hold a coffin for pauper burials. Those who could not afford a coffin were place within this coffin temporarily during the burial process. The deceased was carried to their grave in this coffin and then they were removed and placed in the grave. 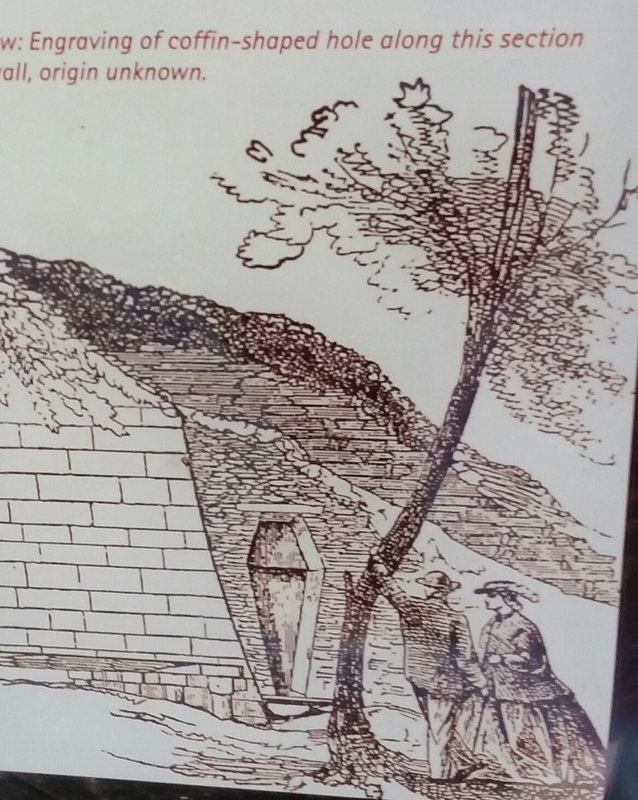 The coffin was then returned to the wall to await the next burial. Id be really interested to know if anyone has come across anything similar at other graveyards. This entry was posted in Uncategorized and tagged Sr Mary's Collegiate Church. I knew that coffins were reused for burials, but I never knew anything about recess in wall; my guess is they must have existed in many towns. This rings a bell…racking my brains….